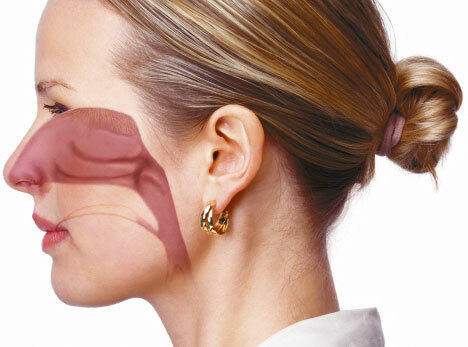 People with allergic rhinitis or asthma are more likely to suffer from chronic rhinosinusitus (sinusitis). A bad cold is often mistaken for sinusitis (sinus disease). Many symptoms are the same, including headache or facial pain, runny nose and nasal congestion. 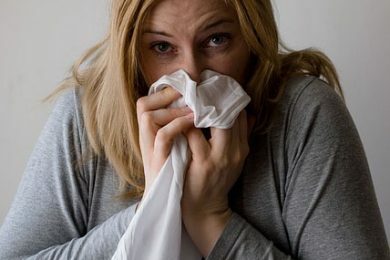 Unlike a cold, sinus disease symptoms may be caused by bacterial infections. It often requires treatment with antibiotics (drugs that kill the germs causing the infection). If you think you have sinus disease, see your doctor for proper diagnosis. In most cases, sinus disease treatment is easy. By stopping a sinus infection early, you avoid later symptoms and complications. Nasal polyps (NP) are noncancerous growths within the nose or sinuses. Symptoms include trouble breathing through the nose, loss of smell, decreased taste, post nasal drip, and a runny nose. The growths are sac-like, movable, and nontender. 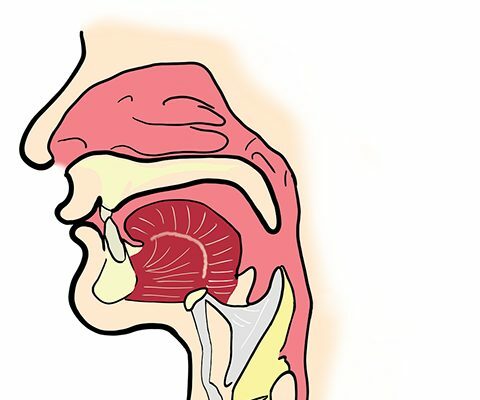 They typically occur in both nostrils in those who are affected. Face pain may occasionally occur. Complications may include sinusitis. The exact cause is unclear. They occur more commonly among people who have allergies, cystic fibrosis, aspirin sensitivity, or certain infections. They are overgrowths of the mucous membranes. Diagnosis may occur by looking up the nose and a CT scan may be used to help plan treatment. Nonallergic rhinitis refers to rhinitis that is not due to an allergy. 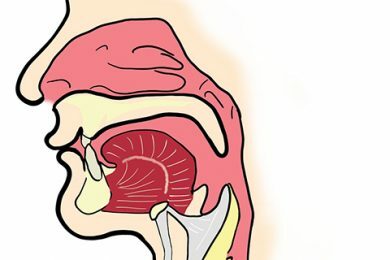 The category was formerly referred to as vasomotor rhinitis, as the first cause discovered was vasodilation due to an overactive parasympathetic nerve response. As additional causes were identified, additional types of nonallergic rhinitis were recognized. Vasomotor rhinitis is now included among these under the more general classification of nonallergic rhinitis. The diagnosis is made upon excluding allergic causes. It is an umbrella term of rhinitis of multiple causes, such as occupational (chemical), smoking, gustatory, hormonal, senile (rhinitis of the elderly), atrophic, medication-induced (including rhinitis medicamentosa), local allergic rhinitis, non-allergic rhinitis with eosinophilia syndrome (NARES) and idiopathic (vasomotor or non-allergic, non-infectious perennial allergic rhinitis (NANIPER), or non-infectious non-allergic rhinitis (NINAR). In vasomotor rhinitis, certain nonspecific stimuli, including changes in environment (temperature, humidity, barometric pressure, or weather), airborne irritants (odors, fumes), dietary factors (spicy food, alcohol), sexual arousal, exercise, and emotional factors trigger rhinitis. 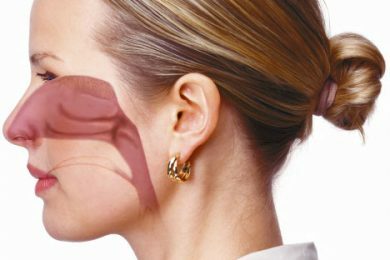 There is still much to be learned about this, but it is thought that these non-allergic triggers cause dilation of the blood vessels in the lining of the nose, which results in swelling and drainage. Sinusitis is an inflammation of the sinuses. It is often caused by bacterial (germ) infection. Sometimes, viruses and fungi (molds) cause it. People with weak immune systems are more likely to develop bacterial or fungal sinusitis. Acute sinus disease lasts three to eight weeks. Sinus disease lasting longer than eight weeks is considered chronic.